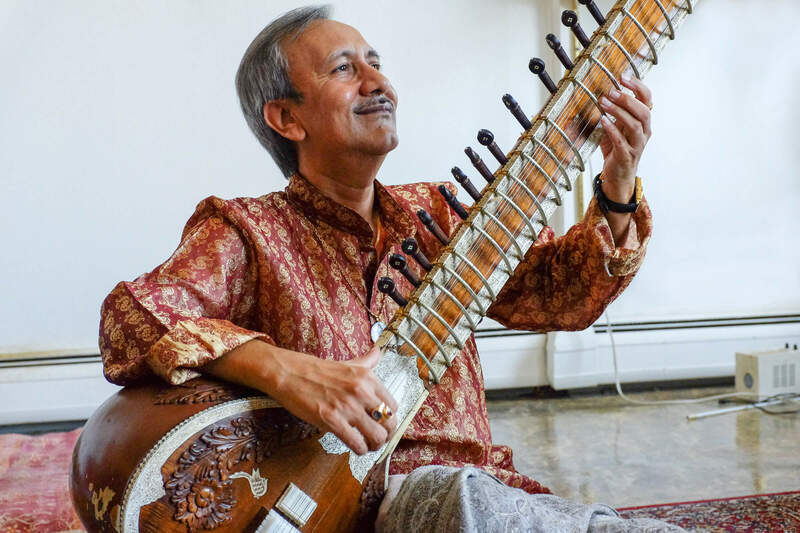 Pandit Sandip Burman is an internationally renown touring artist from West Bengal, India. 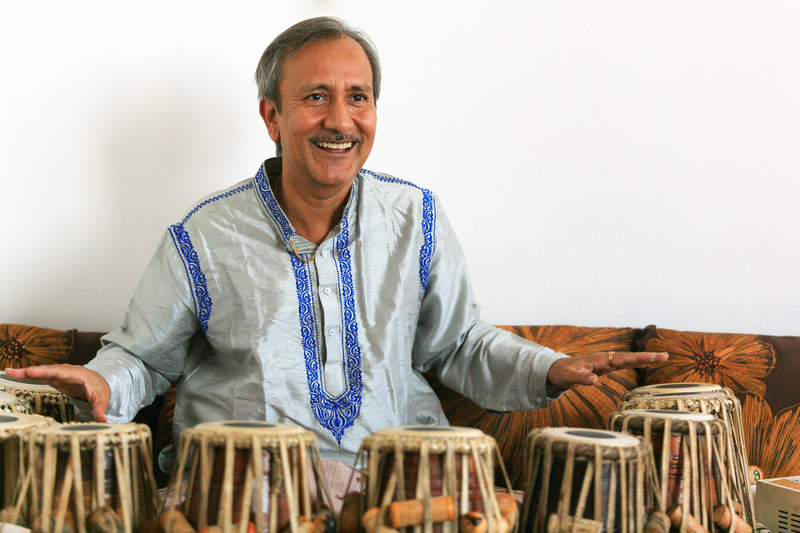 He plays tabla, sitar and tabla tarang (melody on tabla) and tours in Australia, New Zealand, United States, Singapore, Britain, Hong Kong and Canada. While exploring World Music, Jazz, Western Classical and Hollywood Movie Soundtracks, Sandipji has played on albums such as Facing East, Vishnu, GRAMMY Award-winning Outbound, GRAMMY Award-winning Live at the Quick DVD and Global Fusion from Warner Brothers. 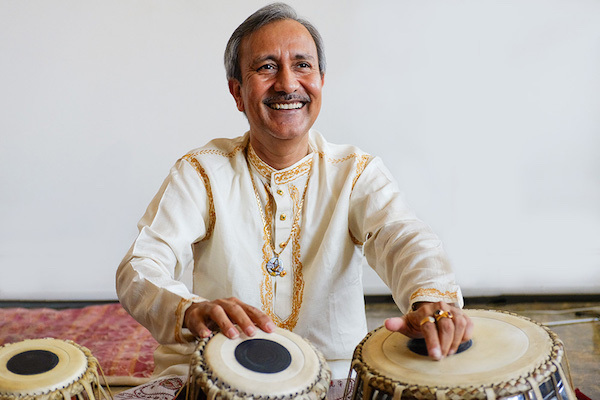 Sandipji is the first generation of musicians in his family and without the backing of a reputed musical heritage, it is an unyielding dedication and enthusiasm that has driven him to continually challenge himself as a student and to grow musically beyond tabla playing and into 3 additional instruments: tabla tarang, sitar and voice also. In different circumstances he has filled in the spot as a side artist for foremost Indian musicians such as .Pt. Debu Chaudhuri , Pt. Jasraj, Smt. Laxmi Shankar, Pt. Hariprasad Chaurasia, L. Subramaniam, Pt Chitresh Das (Indian Dance), Pt. Ravi Shankar and Western artists such as Steve Zerlin, John Wubbenhorst, Kurt Gartner, Dean Linton, Andy Narrell and Victor Wooten they have been gracious enough to let Sandipji share such venues as the Ali Akbar Music College Festival, the Monterey World One Festival, the San Francisco Asian Museum of Art, the International Bengali Conferences in L.A. and Philadelphia, the Getty Museum (L.A.), Street Scene (San Diego), Nelson Atkins Museum (Kansas), Telluride Bluegrass Festival (Colorado), Stern Grove Festival (San Francisco) and Wolf Trap (Washington D.C.). 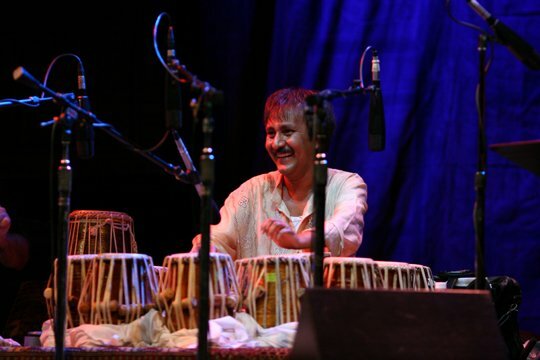 While exploring World Music, Jazz, Western Classical and Movie Soundtracks, Sandipji has played on albums such as Facing East, Vishnu, Outbound, Live at the Quick DVD and Global Fusion from Warner Brothers. Always in search of new challenges, Sandipji wrote his first Western Classical piece for wind ensemble & string quartet with Gary Hill and Jonathan Moser, as well as contributed to Danny Elfman’s soundtrack of Tim Burton’s film, Mars Attacks. He also organized and arranged a tour with Jazz legends Jack DeJohnette, Jerry Goodman, Randy Brecker, Howard Levy, Paul McCandless, Steve Smith, Dave Pietro and Paul Bollenback. His dazzling performances, combined with his rich and eloquent playing style, have enabled him to teach master classes and perform at prestigious institutions world-wide such as CalArts, San Francisco State, Stanford, UCSD, Brown, DePaul University, Texas Tech, Penn State, Dartmouth, University of Chicago, Drummer Collective (NY), the Peabody Conservatory, etc. and in Mexico, North Africa, Israel, the Rotterdam Conservatory in Holland, Canada, Australia, New Zealand, Singapore, Hong Kong, Sweden and Ireland.